The sandwich can come in a whole host of different forms. Whether it’s simple square cut bread, baguettes, bagels, wraps, sandwiches served hot etc. there is always new business emerging in this diverse and exciting sector. It is consequently no surprise that the British sandwich industry has a yearly value of £8 billion. According to the British Sandwich Association, this figure grows at a steady 2%- or 80 million sandwiches- per year. The growth in the sandwich industry reflects how modern-day society operates, it is all about convenience. Although ‘enjoyment’ and ‘taste’ are the number one drivers of product choice, the convenience of something being ‘quick’ is the fastest growing consumer need. The sandwich is functional and transitory which is ideal for our time-pressed lives. 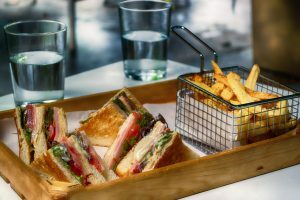 Furthermore, due to highly innovative product and menu development by retailers, there is a huge range of on-the-go sandwiches readily available, allowing consumers to easily adapt their choice. The sandwich industry can generally be split into two separate sides. On one hand, there are specialist chains such as Subway, Greggs, and Pret a Manger that assemble freshly made sandwiches in their stores. In the UK, Subway has grown to become to become the largest fresh-assembly operation, with 2,500 branches nationwide. It is also one of the most widespread restaurant franchises in the world and has achieved global success. On the other hand, there are a network of factories which supply retailers such as M&S, Tesco and Sainsbury’s with ready-to-go packaged sandwiches. 37 years ago, M&S first introduced the idea of selling packaged sandwiches. The trend immediately caught on and in no time at all every supermarket was selling packaged sandwiches. 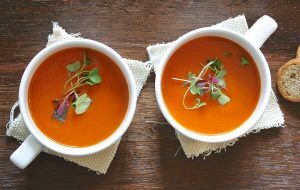 The introduction of new and exotic flavours has enabled the soup market to continue to grow in recent years. The UK soup market can be divided into three principal categories: wet ambient (E.g. Heinz Tomato Soup), fresh chilled (E.g. Tesco Finest Pea and Wilshire Cured Ham Soup) and dry soups (E.g. Pot Noodle). 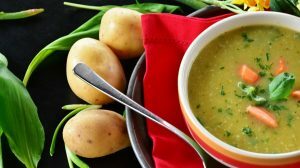 In the UK, there has been a particularly noticeable increase in popularity of fresh chilled soup, the amount spent on fresh soup increased from £78.2 million in 2007 to £131.8 million in 2017. This increase in sales is in part due to the demand for gourmet lunches, with the perception that these types of soups are a healthier alternative to dry soups. Consequently, there has been a decline in the dry soup sector. However, the wet ambient sector still dominates the majority of the market, claiming an estimated 61% of all sales. Overall, there are 5 key ingredients which are responsible for a whopping 75.7% of the UK’s sandwich purchases: chicken, cheese, bacon, egg and ham. Sandwiches containing chicken also saw a staggering 13.2% growth in 2017 from 2016. Despite this, a survey done by Warburton’s found that plain cheese was the most popular choice of sandwich filling in the UK. This was followed closely by ham and cheese, ham and salad, and sausage. 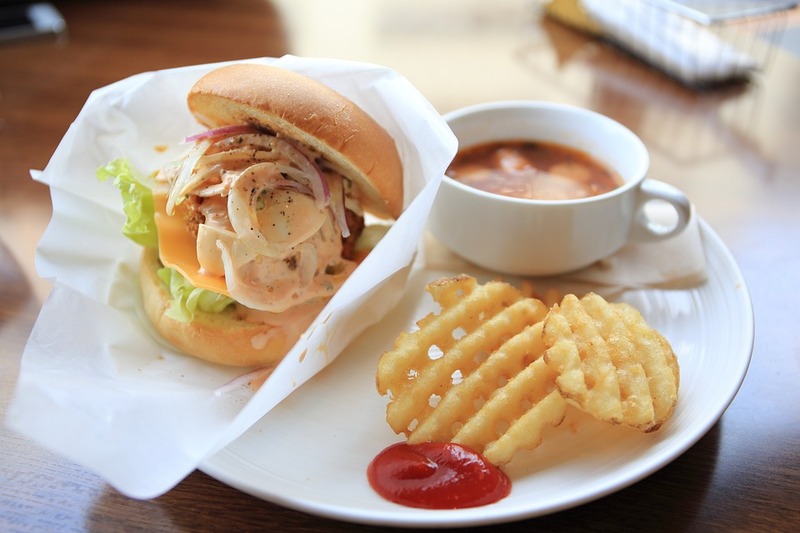 Egg mayonnaise, tuna mayo, and chicken mayo are also considered as favourable options. However, recently the biggest development in the market has come from breakfast sandwiches. The best-selling filing in the UK in the past 12 months has been bacon. Despite the increase in new and exotic soup flavours, 37% of Brits rated tomato soup as their staple favourite. This was closely followed by other contenders such as potato and leek, chicken soup, carrot and coriander, and mushroom. Other favourable options included pea and ham, broccoli and stilton, and French onion. At the bottom of the list was nettle soup, accounting for 0%. Interestingly, there is a noticeable conflict of interest in flavour preference between members of the older and younger generations. When compared, those over the age of 60 are more likely to indulge in a soup such as pea and ham, broccoli and stilton, or French Onion. However, those in the age bracket 18-25 were more inclined to choose chicken and mushroom, or chicken noodle. In terms of brand, Heinz is undoubtedly the clear favourite. They have an estimated value share of 38% of the soup market in the UK. 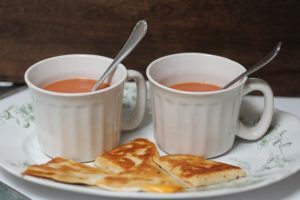 Tomato soup paired with a grilled cheese sandwich is the most common combination of soup and sandwich. 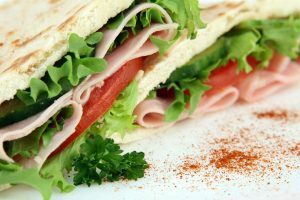 More consumers are searching for diverse ranges of sandwiches, including region-specific varieties and more premium options. Therefore, to try and maximise success, offer variety and attempt to change up your soups and sandwiches as often as possible. Serving the same selection 365 days a year will not be enough to make you stand out from other competition. Try experimenting with new flavours and combinations to give consumers food-for-thought. Not all your attempts at creating a unique taste experience will be successful, but through trial and error you may end up discovering a culinary masterpiece. It is also worth noting that the food revolution has resulted in people seeking superiorly healthy food options. Producing sandwiches which contain the freshest of ingredients and quirky ‘super foods’ may give you an edge in the already saturated market. An updated insight into how well the sandwich and soup markets are doing, along with looking at the best performers.